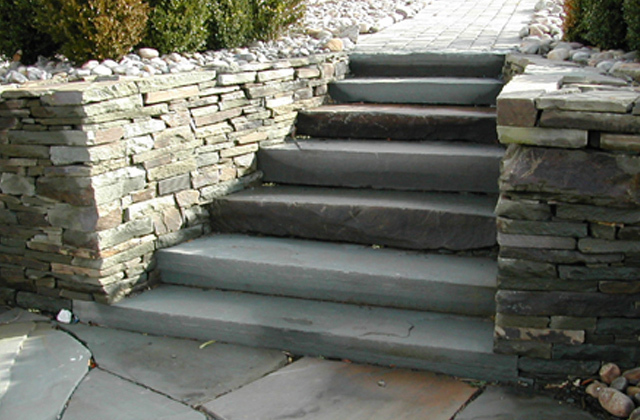 This stone step is natural cleft and thermaled on the top surface and square in dimension to create a riser that can easily be used for installation and functionality. Usually blues, greys with some brown weathering tones. 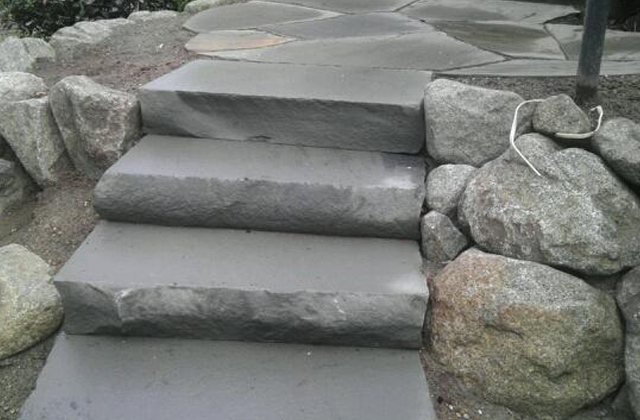 Stone is sold by the each and available in stock in 6-1/2″ thickness. The depths vary from 16″ to 20″ and come in 36″, 48″ and 60″ lengths. Custom sizes are available by custom order.